Tweet bashing, fights with Congress, a 15-point drop in approval ratings. Three months into his presidency, Jair Bolsonaro’s honeymoon is already over. 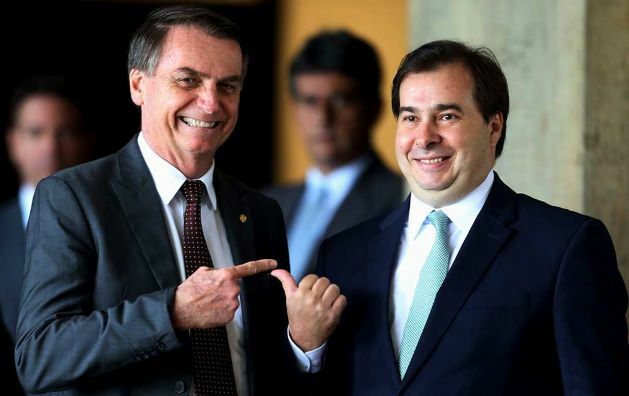 Viewed as the outsider candidate in Brazil’s election last year, the former congressman from Rio took office January 1 with promises to tackle some of the country’s biggest problems: economic growth, corruption, and security. But running as an outsider and governing as one are two different things, and the latter is proving to be difficult for the president and his small Social Liberal Party (PSL) as they try to whip the necessary votes in Congress to pass reforms. “Usually there’s this tradition that the honeymoon lasts 100 days. In the case of Bolsonaro, in part through some self-inflicted and unnecessary conflicts—not with his enemies but with his friends—there’s generally recognition that the honeymoon period is over,” says Brian Winter, Americas Quarterly editor-in-chief and AS/COA vice president. The Brazil expert joined AS/COA Senior Director of Policy Roberto Simon in a podcast interview with AS/COA Online’s Elizabeth Gonzalez to discuss Bolsonaro’s progress so far on everything from pension reform to closer relations with the United States. Listen to the podcast for more on Moro’s proposals, as well as the Bolsonaro administration’s moves to forge closer ties with Donald Trump and expand trade. Catch up on Bolsonaro's honeymoon with our 100-day tracker. Get the background on Brazil's 2018 elections. Like this podcast? Subscribe today on iTunes, Soundcloud, Stitcher, Google Play, and Spotify. This episode was produced by Elizabeth Gonzalez and Luisa Leme. The music in this podcast was performed at Americas Society in New York. Learn more about upcoming concerts at musicoftheamericas.org.